The industrialized world is struggling with low productivity, high wages and consumers that increasingly demand more personalized goods. Factories are responding. The factory of the future will make decisions for itself, says Dr Denis Wohlfeld, Senior Innovation Manager at FARO. This will represent a quantum leap in productivity and flexible production, light years ahead of what conventional “lean” – but mainly manual – production methodologies can achieve. For Dr Wohlfeld, “Industry 4.0” is the capability that arises from connecting many different components in the factory, and ultimately allowing them to act by themselves. An essential part of this technology mix is software to produce a digital twin of a part, an assembly or a whole factory. This digital copy allows engineers to test and simulate new parameters and design variants that would be impossible in the physical world, to a high degree of precision. The variability of sales and high product customization in the automotive market makes high volume, repeatable automotive manufacturing systems unsuitable for some car companies. Manufacturers need a different system that flexes with demand for different models on a daily basis. For example, with technology partners at ARENA2036, automotive companies Daimler and John Deere are investigating how new production systems combining collaborative robots, or “cobots”, and using a single data platform that translates ERP information quickly to the factory floor, can switch production cells on and off in response to variations in real-time demand. Measurement plays a vital role in the smart factory. If a manufactured part or building can be measured accurately, quickly and with fewer production stops, this must increase productivity. A core purpose of Industry 4.0 is greater repeatability coupled with higher flexibility – new, faster ways to measure components using scanning technology will help achieve this. Denis Wohlfeld believes that having a digital twin is another essential component of smart factories. 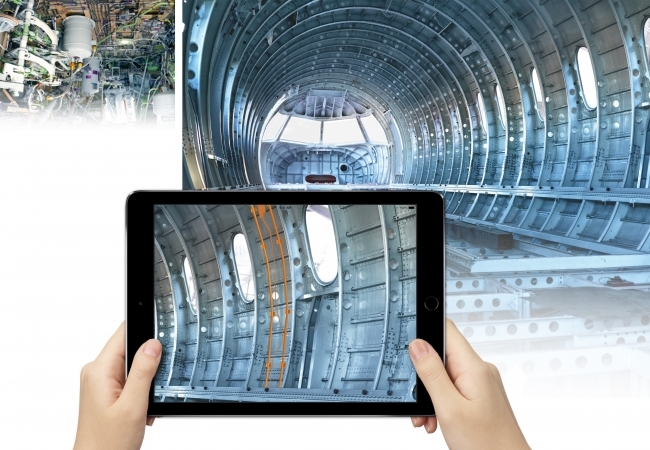 These 3D facsimiles of parts, products and buildings, which are often interrogated using mixed or virtual reality (VR) glasses, reveal design features and flaws that were previously unavailable to the engineer. “The key benefit is having a digital twin at the end [of a manufacturing design] since it has to know what happens inside the facility,” Wohlfeld says. “Like a human has eyes and sensors in his fingers to feel something, we have FARO technology to connect these two worlds.” FARO does not create the digital twin, but with its visualization equipment such as cameras, lasers and sensors, it gathers data for the twin and supports it. This work is about hardware emulating the capability of humans closer than ever. “We can also deliver the “eyes” of a robot – the robot then knows what is below and above it, it can react to what is around it,” says Wohlfeld. As well as inspection to the micron level for measuring parts, FARO also gives the factory eyes in terms of large array scanners that can sweep a building and take millions of 3D data points in one scan. Scanning also helps the smart factory with calculating capacity – data is captured about machine usage and stock, this feeds into a Manufacturing Control or Execution System and capacity, material and the workforce can be adjusted. The Digital Twin also provides a model of the factory for making accurate planning decisions by simulating future scenarios. 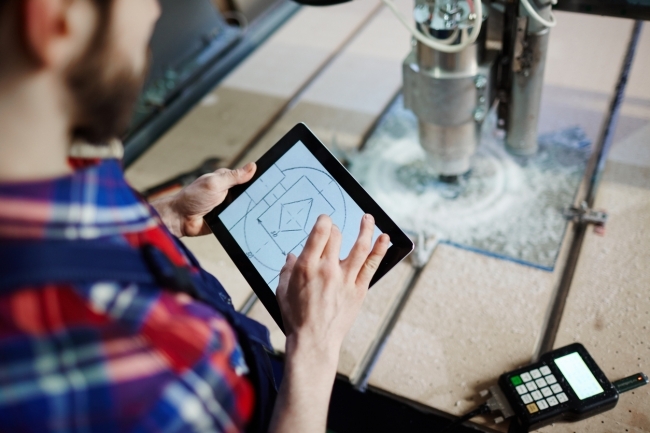 Today, an ERP system can be interfaced between the real and digital (or virtual) factory, where a virtual factory can be used to analyse the best possible working process in the real factory. “In the end the digital twin can even connect to the customer. Why does a human have to be involved at all?” says Wohlfeld. ARENA2036 is a new, uber-modern research institution on the campus of the University of Stuttgart. The name derives from the year 2036, which will mark the 150th birthday of the motor car. Described as the biggest research company in the area of future production, its purpose is to collaboratively research new applications of smart manufacturing production. For example, projects such as LeiFu that explores how lightweight materials in large series quantities will be manufactured into structures with integrated functionality, with a wide range of product variants. Thirty companies including BASF, Bosch, Daimler, FARO, John Deere, KUKA Robotics and Siemens plus universities, the Fraunhofer Institute and other research bodies are the research partners. Dr Wohlfeld is the ARENA2036 coordinator for the Digital Twin. One ARENA2036 research area is combining human, robotic and machinery operation as perfectly as possible. Showcased at the Controls Show in Stuttgart in April, an exciting new smart measurement technology is the FARO Quality Gate, a multi-stage contactless quality inspection using a DMVS, or Dynamic Machine Vision Sensor. For example, a production process can have five stages and one quality gate. In a fluid setup, the quality gate can either be used at the end of the complete process or, more flexibly, after certain steps by redirecting the product flow. At the stages where the product is quality checked, the system could automatically adapt to the quality inspection results (potentially failing and returning the part). It is intelligent, where the computer can optimize the system to know where a part failed. “With Quality Gate integrated in a smart factory, it can detect where the quality inspection failed and stop production there. This is a much faster reaction to the failure,” says Wohlfeld. The FARO LABS team are able to share more examples of Quality Gate in action at customer sites. 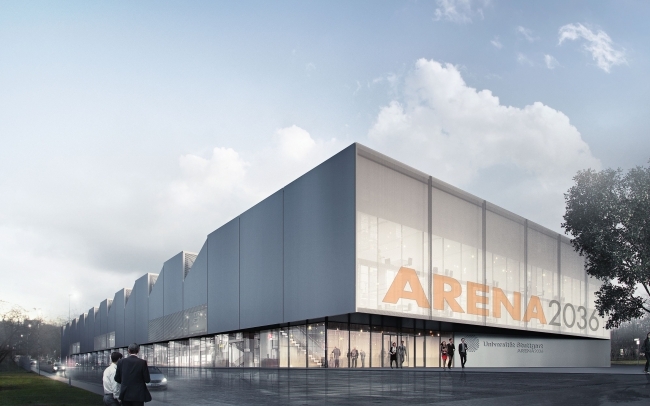 Will artificial intelligence play a part in FARO’s smart factory and ARENA2036? 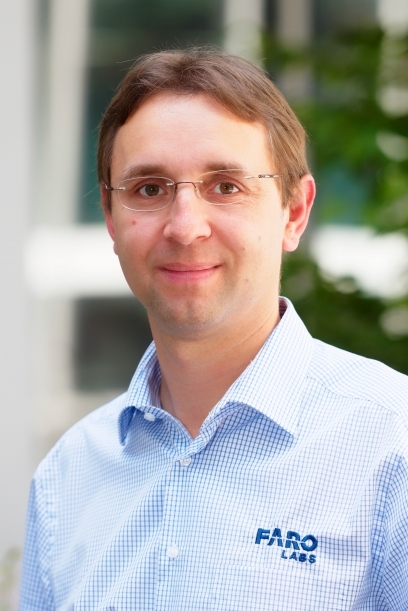 “At the moment [our research] is about connecting everything and getting answers from smart products and customized products at the same cost as mass-produced products,” says Wohlfeld.